First of all, it should be noted that even though the AG’s opinion provide a good insight in the potential direction where the final judgement might go, it should be not taken for granted that the judgement will fully apply the same principles and will came to the same conclusion. On the other hand, most of the cases, the Court will not differ significantly from the AG’s opinion. From that perspective, the opinion and its conclusion is a very positive step on the way concerning the recovery of rebate related output VAT. The conclusions that would apply to Germany with regards to rebates paid to private insurance funds could also affect all the other countries in scope currently, but the situation would be worth to be reviewed also in further EU member states, such as Sweden or Hungary. According to the opinion, the pharma company, Boehringer is a “mere temporary custodian” of that part of the amount that it is bound to pay later as rebate and which is indexed to the price. Based on this, paying output VAT on this “temporary” obtained amount and not taking into account related potential rebates would lead to a wrong assessment of the taxable base. The basis of VAT should be the consideration actually received, reducing the taxable amount with part of the consideration that has not been received after the transaction took place (i.e. rebate). In this respect, the AG follows the principles laid down in the Elida Gibbs case more than 20 years ago. The AG even comes to an interpretation that the insurance fund that obtains the rebate is the final consumer of the pharmaceutical supply, instead of the private person that is the direct beneficiary of the medicinal products. This seems to be a rather daring interpretation. According to this, there is no break between the direct link between the supply of goods and the consideration received (as affected by the rebate). Consequently, it could be argued that the insurer obtaining the rebate is not a third party at all, separate from the chain, but this is the party that actually “obtains” the supply from the pharma company. 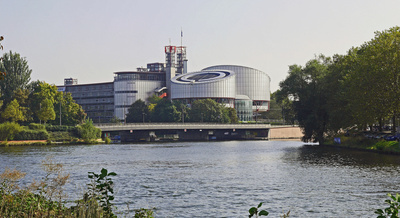 If this argument will be repeated and used in the final ECJ judgment, this could lead to further discussion in those countries, where a rebate is granted to an insurer and/or state healthcare organisations, based on the fact that the pharmaceutical products are partially subsidized in the given country by this organisation. For such a case, the final consumer argument will not help. A German specific aspect of the Boehringer case is that the AG does not make a difference between rebates granted to public or private insurance funds, based on equal treatment and fiscal neutrality. If the rebates granted to public insurers can be used in Germany to reduce the VAT base, the same should apply for mandatory payments to private insurers. The same argument might also not helpful in other countries, where this distinction in VAT treatment does not exist. One last point worth to mention is the question around the mandatory nature of rebate payments. This point is taken up only as a side remark, referring to other ECJ cases without further details. In our understanding, the rebate scheme in the UK is rather based on negotiation and not on mandatory prescriptions. We do not know whether this element will be discussed in any further detail in the judgment, but based on the observations from the United Kingdom, there seems a very strong and understandable interest from the UK side to fight against an ECJ decision in favor of the taxpayers. At the time being, we do not see whether this question and the difference with the German system would provide a good argumentation for the UK government to challenge the applicability of the positive Boehringer-decision. Please note that the above summary serves only as a guidance without a detailed review of potential implications for all involved countries. If you wish further details for each country, we would be glad to perform such an analysis, but we suggest that the decision for further actions should not be directly impacted by the AG opinion. Only the ECJ judgment will provide more certainty in this regards. Categories: Tax Knowledge | Tags: Advocate General, Boehringer ECJ, Court, EU member states, insurance fund, judgement, output VAT, recovery | Permalink. Michaela, your article re Boehringer is most interesting. I was wondering if you had any views on why an unjust enrichment argument (probably in the guise of focusing on equality or neutrality of treatment) was seemingly not run in that case. Might we expect it to be raised elsewhere as clearly there will be windfalls for pharma companies who have not economically suffered a VAT cost?